Traditional music lovers might scoff at DJs — but in reality, being a DJ is a complex skill. It's no small feat to have an ear for catchy sounds and layer them in a way that's totally unique and irresistible — the throngs of adoring fans and playing thrilling sets live just happens to be an added bonus. 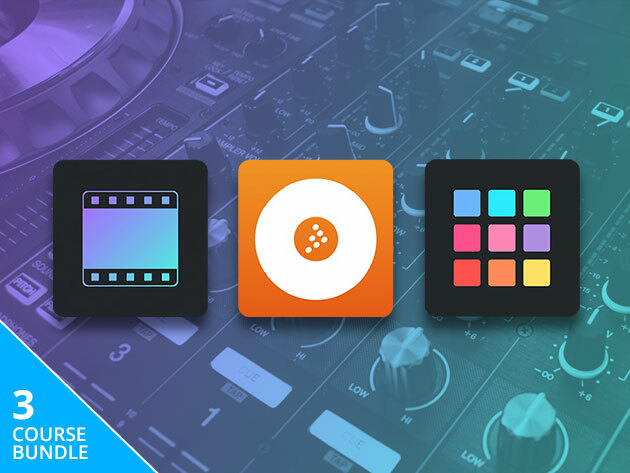 If you're an aspiring DJ and want to try your hand at going pro, look no further than this MIXVIBES DJ Software Bundle: it's a powerful platform that includes everything you need to make high-quality mixes and videos (and it just might be the big break you've been waiting for). This professional DJ software includes key features to making your next smash, including full control on the key of your tracks with key detection and key matching features, allowing you to develop smooth, harmonic mixes and quickly visualize compatible tracks. It also cross-integrates with everything from iTunes to hot cues, loops and playlists from other platforms — and allows you to edit your music with industry standard tools, including filters and DJM-modeled EQs. It's also available on all major platforms, including iOS, Android, macOS, and Windows — so making your music is more accessible than ever before. Usually, this MIXVIBES DJ Software Bundle is $198.99, but you can get it here for $48.99. Like this deal? Check out this trending digital security subscription, too!